Speedway racing first came to the Crystal Palace area of Sydenham, London in 1928. 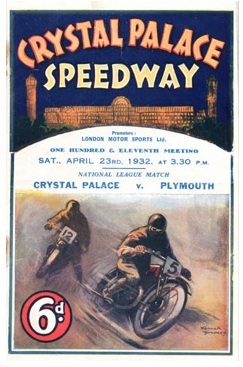 It was held on the dirt track at the Crystal Palace Exhibition Grounds on 19th May 1928 with a crowd in excess of 6000 witnessing the first meeting. 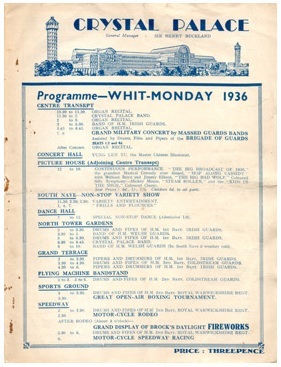 After completing their final match of the 1933 season on 14th October when they won against Clapton by 32-29, but lost against West Ham by 31-29, they started preparing for the new season. However, they had to withdraw before the season started and that double header was to prove to be their final fixture. 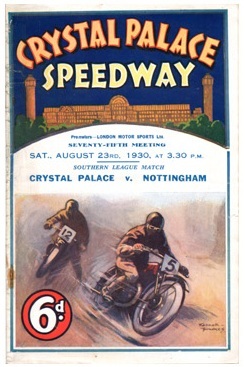 The club did compete in the curtain raiser to the 1932 season, which was the National Speedway Association Trophy. 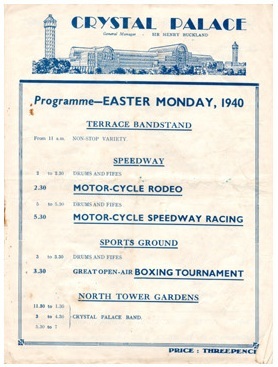 Rather than competing with greyhound racing, like most speedway tracks, the speedway had to compete with horse racing, albeit of the mechanical kind, in the first year of its being. 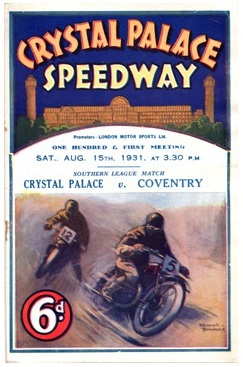 Fortunately this type of racing did not catch on, although speedway was to last for just 5 more years. 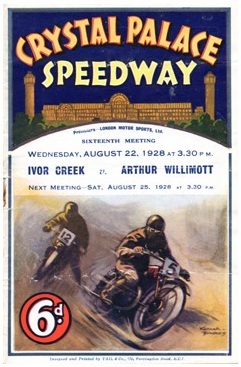 The track was later used for other types of motor sport. 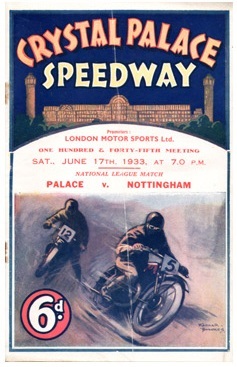 The team were initially members of the Southern League from 1929-31 and then joined the National League for the two seasons 1934 and 1935. 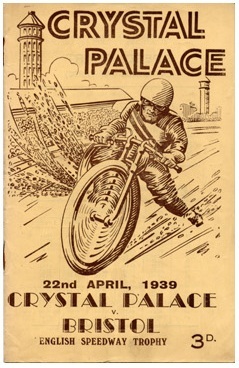 It will come as no surprise that the Crystal Palace team have always been known as The Glaziers.